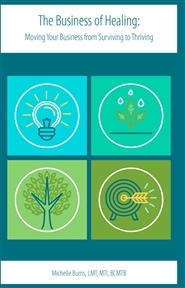 All thriving individual practices have one thing in common. Their target market knows about the business and what the business can do for them. Marketing is the way to make sure people know about your business. 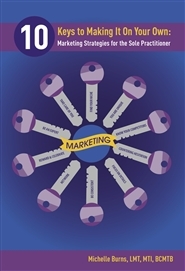 This book provides 10 basic, easy to understand marketing concepts and strategies to help create your marketing plan. All without spending a ton of money. Throughout the book, you will be given information, worksheets to help define some of the marketing tools, and actions to take to Make it on Your Own. Some additional help for actions to take can be found in the companion book, The Business of Healing: Moving your Business from Surviving to Thriving.